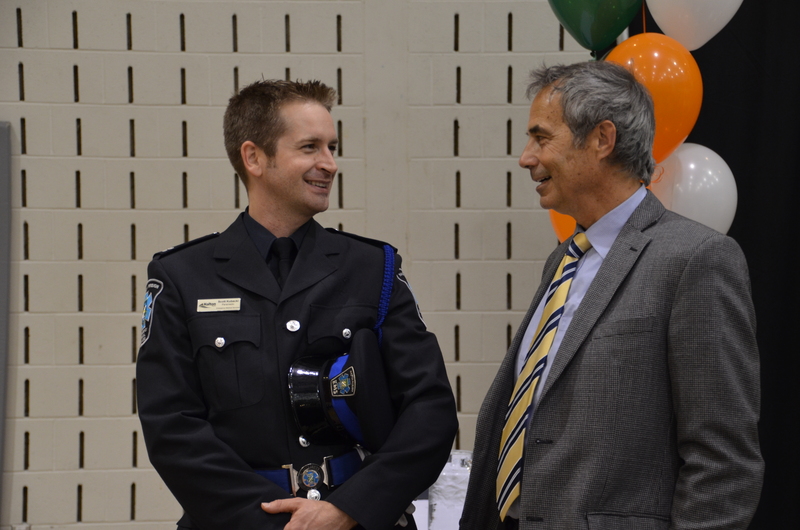 Last week I had the honour of attending Halton Region’s Celebration of Life awards ceremony. The Celebration of Life is an event to profile the important life-saving work by Halton’s Paramedic Services, bystanders, and community partners. The event also gave survivors of medical emergencies a chance to formally meet and thank the paramedics who saved them. The Halton District School Board and the Halton Catholic District School Board were presented with community partner awards for their commitment to the health and safety of their students and staff when they installed defibrillators in all their schools. Along with the installation, they trained hundreds of staff and students how to use the defibrillators and how to do CPR. 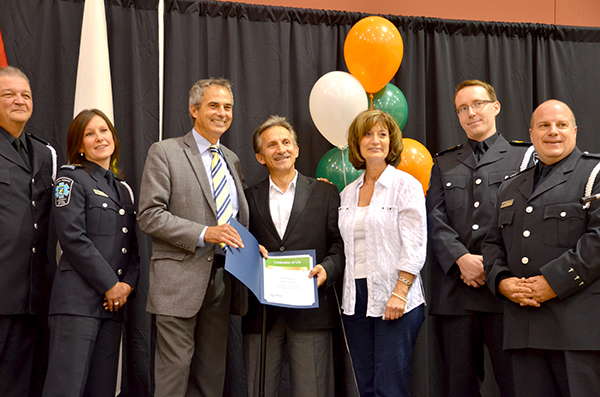 Bystanders were also honoured for their bravery. Thrust into a crisis situation they acted with selflessness and courage and were commended for their actions. In Halton Region, we have an exceptional team of paramedics who make a career out of caring for the health and safety of our community. Halton Regional Council is committed to providing the necessary tools for not only a paramedic service that succeeds, but one that excels. 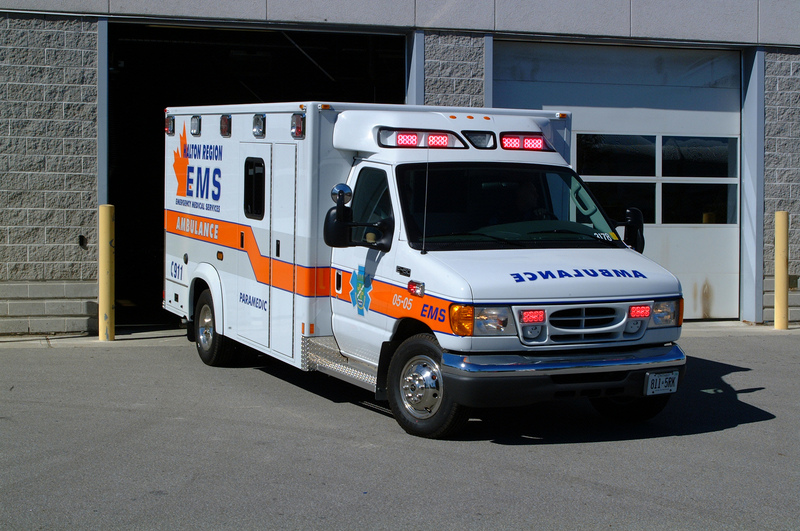 In the Citizens’ Priorities Action Plan, there are a number of high profile actions dedicated to paramedic services such as ensuring appropriate response times, opening a northwest Oakville station and continuing to work with the Central Ambulance Communications Centre to optimize the delivery of paramedical services. Optimization of the delivery of paramedical services is key because as our population grows, so too does the demand for paramedic service. For Regional Council, that means striking the right balance between meeting community safety needs and managing tax dollars effectively, something we have been able to do with expanding services while not increasing property taxes on Regional programs and services for the past seven years, one of the best records in Canada. This is evident in the fact that last year Halton Region’s Paramedic Services responded to over 50,000 calls while still meeting our response time targets. Halton’s paramedics, community partners and bystanders are part of what make Halton Region a great place to live, work, raise a family and retire. Think you might be having a heart attack? Call 911 immediately. When faced with a medical emergency, there are many things that can run through your mind. Whether you are a witness to the emergency or if you are the emergency, calling 911 should be your first priority. This is especially important if the emergency might be a heart attack. If you think you or someone else is having a heart attack, DO NOT DRIVE TO THE HOSPITAL. Call 911 for an ambulance. *Women often don’t feel any chest pain. It is important to know the signs of a heart attack. Don’t risk your life or someone else’s. Call 911 immediately. Halton’s paramedics are highly skilled and can begin treating a person suffering from a heart attack immediately. Upon reaching the patient, the Paramedics can perform tests to determine if the type of heart attack is one that can be most effectively treated in a regional cardiac centre, either in Mississauga or Hamilton. If the heart attack is considered a “STEMI,” the patient will be quickly taken to a cardiac centre where they undergo a surgical procedure to restore blood flow to the heart. This is called the STEMI Program and we are very fortunate to have it. The STEMI program is showing positive outcomes when these patients are transported directly to the cardiac centre by paramedics. If a person were to have a family member or friend drive them to a hospital, there would be delays in getting the patient the proper cardiac care. Any delay decreases a person’s chance of surviving a heart attack. Calling 911 is your best option. Please watch and share these videos. CPR is a skill that is easy to learn and can save a life. Halton Region Paramedic Services offers several options for learning CPR. There are other community organizations that offer training as well. Studies show that the most important part of surviving out-of-hospital cardiac arrest is early bystander involvement. When members of the public begin effective cardiopulmonary resuscitation (CPR) and use an Automated External Defibrillator (AED) before the arrival of professional responders, survival rates increase greatly. Nearly 300 AED have been placed in Regional, Municipal, school and private sector sites throughout Halton. Over 5,000 people have been trained in CPR and AED use. Halton paramedics and hospitals are better prepared, equipped and trained to manage cardiac arrest. Halton is widely recognized as a leader in adapting new practices and resuscitation programs. This community wide commitment is delivering very real results. In 2005 seven people in Halton survived out-of-hospital cardiac arrest. In 2010 that number rose to 31 survivors. Most of these additional “saves” were as a result of bystander involvement. In order to make sure this trend continues it is important that we each take the time to learn CPR and AED use. Last month, Regional Councillors and I participated in a very worthwhile CPR and AED training session (view 2 photos ). We had the opportunity to learn that there are new and easier guidelines for effective CPR from the Heart and Stroke Foundation of Canada . There is now more emphasis on performing good chest compressions and less emphasis on mouth-to-mouth breathing. I was impressed that the AED is also very easy to use and even gives audio instructions to the user. I encourage you all to participate in a training session like this, as few hours spent learning and practising these simple skills can give you the confidence that you need to save someone’s life. I am very proud that at Halton Region we have one of the best emergency medical services response times in Ontario but the more people who are trained in CPR/AED use and the faster people start doing CPR and defibrillation, the better a person’s chances are of survival. Saving the lives of cardiac arrest victims is really a simple numbers game – the communities with the highest number of people trained in CPR/AED have the highest percentage of people who survive cardiac arrest. By getting trained in CPR/AED you will be helping to keep survival rates on the rise and will continue to show why Halton Region is a great place to live, play, work, and retire. For more information on CPR and AED training visit the Halton EMS training webpage.